Over the 10 years since salesforce.com went public, a few things have changed in the way we market software-as-a-service (SaaS) solutions. For one, companies are getting more comfortable with the idea of running critical business functions in the cloud. 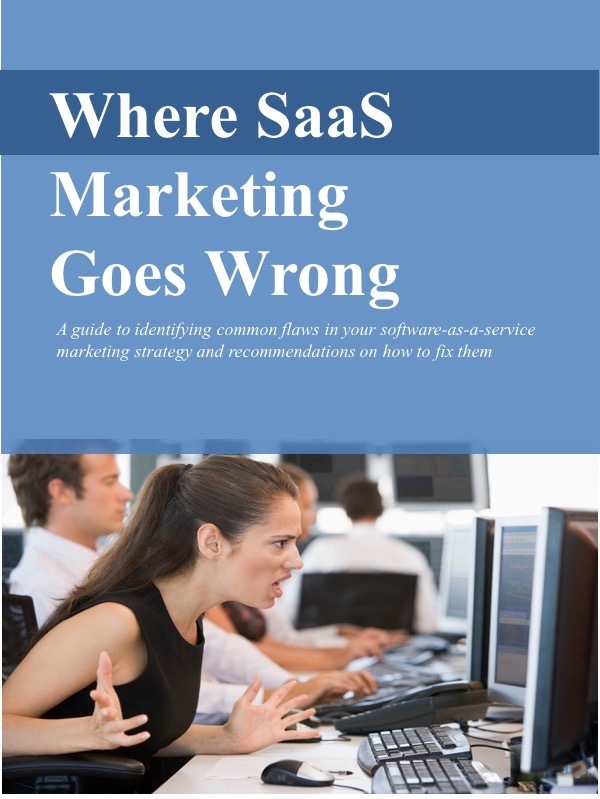 Not too long ago, people marketing SaaS solutions spent a lot of time trying to convince prospective customers that putting key applications and data on the cloud was OK.
We put together plenty of documents - white papers, fact sheets, policy and procedures documents, and more - explaining that SaaS solutions were reliable and sensitive information stored there would be safe. Fewer concerns about "the cloud"
I don’t hear many of these concerns anymore. Companies have grown more comfortable with the idea. Maybe the hosting companies have earned more trust, building a solid record of security and high-availability over the years. Or maybe the benefits of cloud-based solutions now simply overwhelm the possible downsides. As the SaaS market has matured, buyers have become more knowledgeable. In some markets, they are now on the second or third generation of solutions. These companies are often replacing existing systems, not adopting automation for the first time. With this experience, buyers have a much better idea of what features and functions they really need, and what they’re willing to pay for. To package and promote their solution effectively, SaaS marketers need a much better understanding of these more sophisticated buyers. There's no point in highlighting features and benefits that prospective customers don't really care about and aren't willing to pay for. In many markets such as HR or CRM software being “SaaS” doesn’t, by itself, distinguish one solution from others anymore. The benefits - faster deployment, no local servers, access from anywhere, regular enhancements, lower cost, etc. - are now simply “check box” items for prospective customers. They expect them from all the solutions they’re considering. Of course, vendors should include the benefits of SaaS in their marketing messages, but it may not make sense to put them at the top of the list. Though there have been some changes, some of the challenges of marketing SaaS solutions have stayed the same. When a company’s evaluating a SaaS solution, there’s still a broad mix of folks involved in the process. Along with IT and procurement, there’s the business owner, the department head, and the end user. In fact, it’s often the department head - the executive responsible for Sales, Marketing, or HR, for example - that initiates the process. We folks marketing SaaS solutions need to reach each of these audiences and address their particular concerns. The head of HR or the head of sales needs to hear different messages than the IT executive. Another constant is the high cost of acquiring customers. In its most recent financial statement, salesforce.com reported it spent 53 percent of annual revenues on sales and marketing. By far its largest single expense, sales and marketing costs have kept it from net profitability. And this is for a SaaS company that is already well-known and well-established. It takes a lot of work and money to build visibility and credibility, generate leads, nurture leads into qualified opportunities, convert them into paying customers, and then retain and up-sell those customers. That's an effort and an expense that hasn't changed for SaaS companies. Remember all those concerns about the security of software-as-a-service (SaaS) solutions? When SaaS was still a new idea, at some point in the sales process you'd get the same questions: Who's got my data? Who can see it? Is it safe? As SaaS has matured, maybe you thought those concerns were dead and gone. Yes, SaaS solutions have been widely adopted by enterprises, and in many cases they're preferred over on-premises applications. But for enterprise buyers, security is an issue that just won't go away. CEOs and CIOs are still asking questions about how sensitive information is protected. And with news of the recent data breaches at Target and Snapchat, they have good reason to keep asking. I don't know how the information was stolen from Target or Snapchat. Maybe it had nothing to do with how most SaaS solutions protect data. It doesn't really matter. What does matter is that some prospective customers think there are security issues with SaaS solutions. So at some point in the purchase and evaluation process, these folks are likely to ask those nasty security questions. They'll want to know exactly how their data will be protected and why they should trust you to do the protecting. As a SaaS provider, you should be prepared. And the "you" I'm talking about here isn't just the operations people. The marketing people have a role here, too. Concerns about security can derail a purchase and they need to be addressed. To satisfy CEOs, a short document that spells out the basics of the security procedures can be effective. For IT professionals, though, a longer document is usually necessary. They expect something with serious heft and full of details on server security, network security, application security, penetration testing, back-up procedures, and every other security issue. However you do it, if you're selling to enterprises, you should be prepared to address the security of your SaaS solution. This issue isn't going away anytime soon. There's a story about accounting that wouldn't really pass as funny - even by accountants' standards- but it is instructive. A CEO was interviewing two candidates for an accounting position. He provided each with the company's most recent financial data and asked each of them: "What would you report for our company's profit?" The first candidate pored over the numbers, pencil and calculator at hand, carefully constructing an accurate income statement. After that protracted exercise, he dutifully walked the CEO through his arithmetic, subtracting expenses from revenues. The remainder, he proclaimed, would be the company's reported profit. The second candidate kept his pencil and calculator in his briefcase and, in fact, never even glanced at the numbers. He looked at the CEO and said, "The company's profit is whatever you want it to be." So much for the unassailable truth of whatever is reported as "profit." Calculating it and interpreting it can be much more elusive than the cold, hard numbers would suggest. Interpreting "profit" is even more elusive when assessing software-as-a-service (SaaS) companies. The problem is timing. Profit is calculated by subtracting costs incurred during a given period from revenues generated during that same period. The largest of those costs tend to be for customer acquisition. Sales and marketing expenses in a given period can often exceed 50% of revenues during the same period. Adding in support, operations, development, general & administrative costs, and other expenses, there's not a lot left for profit. In fact, a reported loss is far more common. If not "profit," what really matters? So if profit isn't a useful measure of success for SaaS companies, what is? To amend the story about the CEO and the accountants, the best answer to the question "What would you report for our company's profit" wouldn't be "revenues less costs," or even "whatever you want it to be." For a SaaS company, the best answer might be, "Who cares?"